Tantalize your senses with the romantic aroma of this soap. Tantalize your senses with the romantic aroma of this soap. Cocoa butter and avocado oils are added to help revitalize your skin. 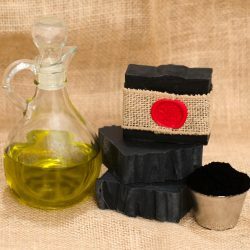 Ingredients: Olive oil, Coconut oil, Palm oil, Avocado oil, Cocoa Butter, Goat Milk, Lye, Fragrance oil, Oxide Pigment. This soap is amazing! 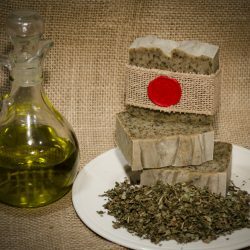 It smells great and leaves your skin so soft! Absolutely LOVE the strawberries and champagne bar!! It is also the favorite of everyone in my family – so I am stocking up 🙂 My skin has been so dry lately, had to apply lotion every day, sometime morning and night. This soap makes my skin so soft and moisturized that I haven’t had to apply lotion in over 2 weeks! 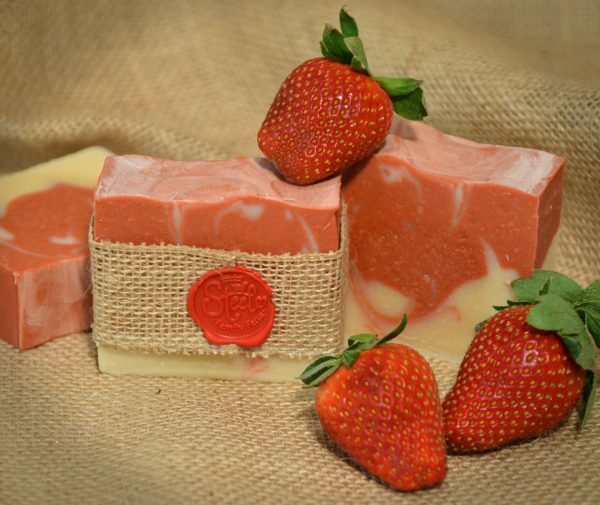 I love the strawberries and champagne soap! Very creamy and moisturizers my skin so well! 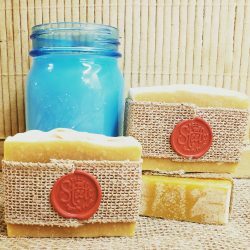 I also used it to remove blue spray dye from my hands after spraying weeds- usually it takes a lot of scrubbing and several washes to get all the dye off but not with my goat soap! Only 1 wash with no scrubbing and all the dye was gone! Awesome!